We got some much needed rain today so my exterior flags had to stay inside for Flag Day today. Since I had some extra time inside I made a patriotic snack in honor of Flag Day. 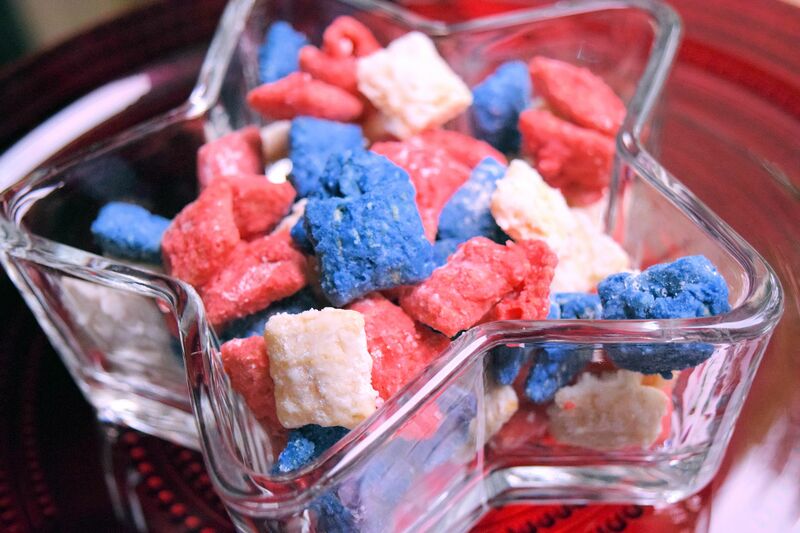 These are a typical Chex cereal puppy chow with the addition of dry cake mix. It gives the chow an interesting texture and thickens the coating. We liked it. Melt the red candy wafers in a microwave proof dish for 30 seconds; stir, continue cooking 30 more seconds. Stir until smooth. Add 3 tablespoons vegetable oil. Stir in 3/4 cup strawberry cake mix. Pour over 4 cups cereal. Put cereal in a plastic bag with 1/2 cup powdered sugar; shake until well-coated. Allow to cool on parchment paper. If candy won’t set, place in refrigerator. Repeat with the white and dark blue candy wafers using the white cake mix instead of the strawberry cake mix. Place together in a bowl to serve. 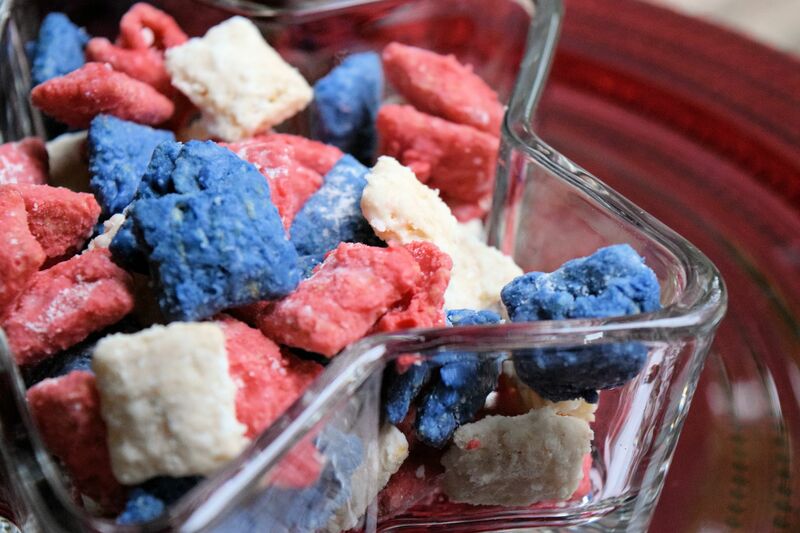 I think I will make this again for Fourth of July treats. It’s always good to try out a recipe before company comes but this was actually good on the first try. All I did was put three flags in my front yard…your recipe looks like a fun recipe that would work for about any holiday…red, white, and green for Christmas,etc. but I’m certain you’ve figured that out already. Actually, I did not think of that but I love the idea of changing the colors.